Implementation of artificial intelligence (AI) or machine learning is currently relatively low – but in the next three years, top marketers expect to integrate these technologies to a greater degree. Among respondents who are currently using AI, some 56.5% said they were using it for content personalization. While personalization has proven to be effective for marketing efforts, it is also time-consuming and difficult to do at scale. AI may be able to alleviate these issues. Another 56.5% of companies employing AI employ the technology for predictive analytics for customer insights. Some of the other key uses include targeting decisions (49.6%), customer segmentation (40.9%), programmatic advertising and media buying (38.3%) and improving marketing ROI by optimizing marketing content and timing (33.9%). What Makes Top Marketers Tick From connecting customer experiences and embracing organizational change to pushing the boundaries of personalization with AI, high-performing marketers stand out from the pack. And, IT Decision Makers convey that timing is a big key and that if a sales rep reaches out at the right time that they will often make time to meet. Forrester’s criteria evaluation of predictive marketing analytics providers for B2B marketers is summarized above. Forrester researched, analyzed, and scored predictive marketing analytics vendors against 28 criteria. The Forrester Wave report is designed to help B2B marketing professionals make the right choice for a predictive marketing analytics solution based on their individual requirements. 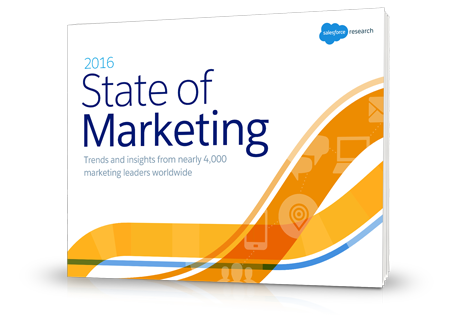 Marketing Budgets rose in 2016 and represented 12% of company revenue, according to Gartner. The largest organization allocated a larger percentage of their revenue on marketing — 13% at companies with more than $5B in annual revenue. Smaller companies, those that have $250M to $500M in annual revenue spent approximately 10% of revenue on marketing. For example, the average organization with $5B in revenue has a $650M marketing budget. Or, a company with $500M in revenue budgets about $50M on marketing. B2B digital marketers typically focus on digital marketing tools to help them reach, engage, act and convert. Below is a great example from SmartInsights of how to think about each stage in the process – B2B marketing concepts that comprise each stage and vendors that offer sol solutions to help sales and marketing teams accomplish each step. 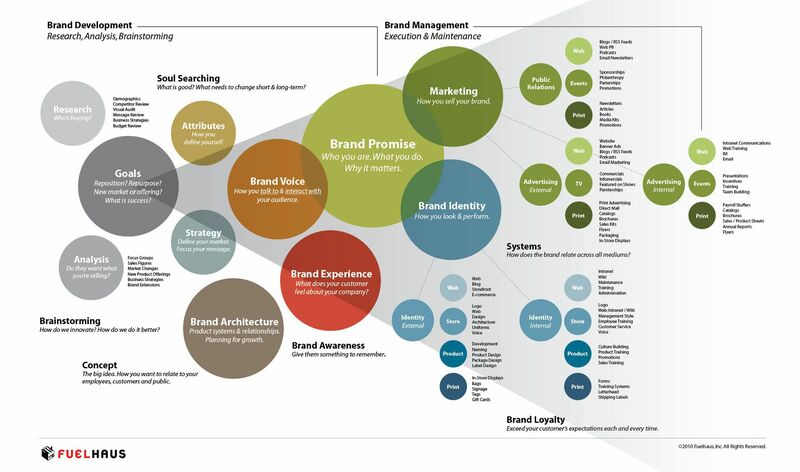 The marketing technology landscape is quite complex and ever expanding. It’s easy for marketers to become overwhelmed or to become frustrated when It becomes involved and performs its due diligence. However, CEB reports that more than 66% of marketers yield less than 50% of the potential form their MarTech investments. More than one-third of respondents communicated that 11 to 25% of their marketing budget was allocated to MarTech investments. Almost 60% of respondents communicated that more than 11% of their marketing budget was allocated to MarTEch investments. There is no silver bullet when it comes to making the perfect MarTech purchase. Most respondents were able to fully leverage their MarTech investment, however, those organizations that implemented a Limited Piecemeal Solution were not able to fully leverage their stack as much as the other Martech Stack Types. Predictive intelligence tools make it easier for marketers to track and understand customer behavior to generate highly personalized based messaging. Best-in-class marketers are 3.6x more likely to strongly agree that predictive intelligence and data science are important to their overall marketing strategy. The most sophisticated marketers are investing more heavily in tools and technology. 72% of high performers are expected to increase spending on marketing tools and technology in the next 2 years. The marketers that are most correlated to revenue use data segmentation, marketing automation and predictive intelligence. Your brand is the sum of total of associations, feelings, attitudes, connotations and perceptions related to an organization, product / solution and or service. It is a relationship with the customer and a promise to deliver value – a specific set of features, capabilities, benefits and services and support. Developing an effective brand strategy is based on three key brand strategy components: brand positioning, brand architecture and brand extension. Forrester constructed a matrix to determine what IoT opportunities are hot (they have a combination of attractive industry conditions and strong adoption by customers in those industries). Examples of specific key use case by industry are summarized below. Fleet managers across industries can now use packaged solutions to manage vehicle fleets, rather than build custom solutions, which FedEx and UPS have been doing for many years. GPS tracking can be used to identify the most efficient delivery routes, and geofencing alerts the warehouse when a driver is within 5 miles away to ensure that the driver’s manifest, invoices and next delivery load are waiting. City & local governments are deploying networked surveillance cameras & video analysis software to expand public safety capabilities. departments, and citizens with real-time information relevant to their immediate proximity. information and services in real time. The best-in-class retailers improve the accuracy and availability of thousands of shoe styles in its stores by working with technologies to deploy ultra high frequency (UHF) RFID tags onto display shoes. readers to identify the tagged items and upload inventory report data. Primary manufacturing firms need to manage complex, industrial asset systems and production processes. A large global aluminum manufacturer transformed the manual, time-consuming process of controlling and monitoring individual aluminum processing pots. It also implemented security measures such as geofencing, authentication, and authorization. Technology can also be deployed to deploy a sensor-enabled system to connect, manage, and remotely monitor the materials, bath sampling, temperature, and operational status of each aluminum processing pot. The Account Based Marketing Technology Map identifies vendors for each of the account based marketing activities . Gartner’s CMO spend survey reveals that approximately 10% of revenues is spent on marketing. Gartner found that in 2014, marketing budgets were over 10% of revenues. Companies with revenues greater than $5B reported that the marketing budget was 11% of revenue. Companies with revenues between $500M – $1B reported that budgets were 9.2% of revenue. Companies selling B2B allocated approximately 8.9% of revenues to the marketing budget while B2C companies allocated 10.1% of revenues to marketing. Strategy – Develop a clear strategy that is mapped to your long-term business goals. Format & Content – It may be appropriate to use multiple formats for a single piece of content as people absorb and learn differently. Platform – The content distribution platforms to distribute and share your content. Metrics – How you will measure the performance of your content. Goals – Quantitatively answer the question, why is there a content marketing program. Sharing Triggers – What are the emotional drivers behind sharing, and make sure the content you create makes people feel something. MESH Interactive Agency created the Periodic Table of Digital Marketing Predictions and Trends. Mesh’s interactive table is comprised of 114 elements across content marketing, social media, digital marketing, mobile, marketing automation and analytics. Some of the major themes include: humanization, real-time marketing and recylcing content. This go to market charts marketing is from Insight Ventures. Included in B2B Digital Marketing is SEO, SEM, Email Marketing, Social Media, Website, Content Marketing, Budgets, Free Trials and Funnel Management. Channel: The primary channel where the marketing activity is executed. Objective: Where in the sales funnel is there suppose to be impact: awareness, engagement, conversion, loyalty, and advocacy. Signal Type: Signals are quantitative measures and can be organized by volume, quality, efficiency and shares. By leveraging this framework, marketers can easily identify the most important signals: channel, objective or signal type. Attercopia produced a framework to facilitate the development of digital marketing strategies. The premise is that the periodic table will serve as a structure on how to best construct your digital marketing strategy. Also included are sample Key Performance Indicators (KPIs) for sales, marketing and customer service aspects of your digital marketing plan. Content types, SEO considerations and analytics tools that can be used to implement your strategy and control it are also noted.